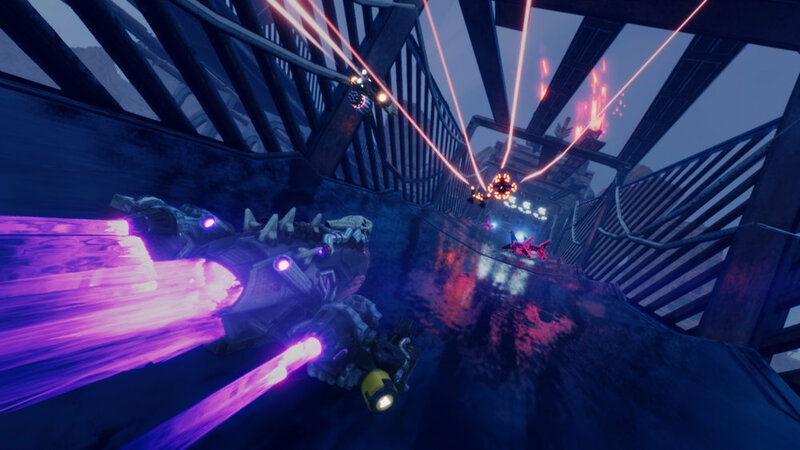 Players will be able to compete in all-new single-player and two-player split-screen racing tracks, fight waves of ruthless enemies in the Crimson Coliseum and see their rank and stats on leaderboards. The Crimson Moon will also impact the entire world of Atlas and let players engage with new faction story missions and weekly challenges. The update also includes five new pilots, three new starships and eleven new weapons available separately for digital-only purchases. Additionally the game will be released on PC on the same day as the update. On top of all of this, exclusive to Switch there will be a new campaign where players will get to play as StarFox companions Peppy, Falco and Slippy each with their own unique abilities. This DLC will be a separate download, and go for $15.99. You can check out the trailer and screenshots below. Montreal — April 24, 2019 — Today, Ubisoft announced that Starlink: Battle for Atlas® will receive a significant content update centered on the mysterious appearance of the Crimson Moon in the Atlas star system. The update will be available for download on the Nintendo Switch™ system, PlayStation®4 computer entertainment system and the Xbox One family of devices including Xbox One X. The new Crimson Moon content will also be included in the all-new Windows PC version of the game, releasing the same day, April 30, 2019. 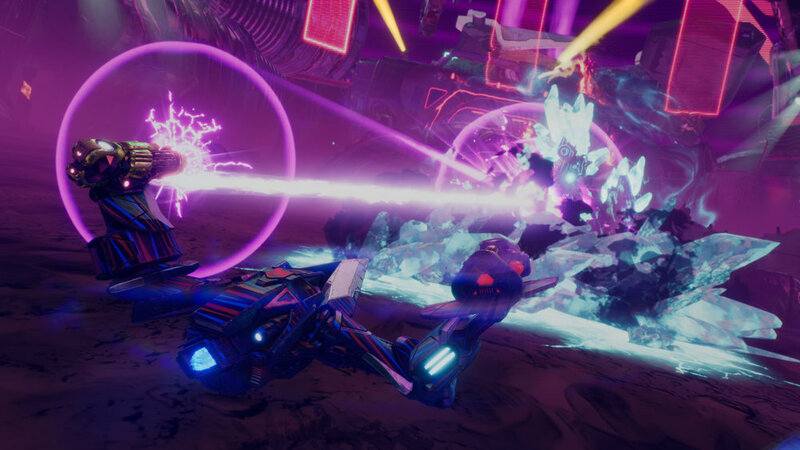 On PC, Starlink: Battle for Atlas will feature the same content as the console version and will support the Dualshock and Xbox One controller mounts, as well as digital play. For more information about Starlink: Battle for Atlas PC specs, please visit https://starlink.ubisoft.com/game/en-ca/news-videos/348652/Starlink-Battle-For-Atlas-Comes-to-PC. As part of the free update, players can explore the Crimson Moon, theater of the Outlaw Games. 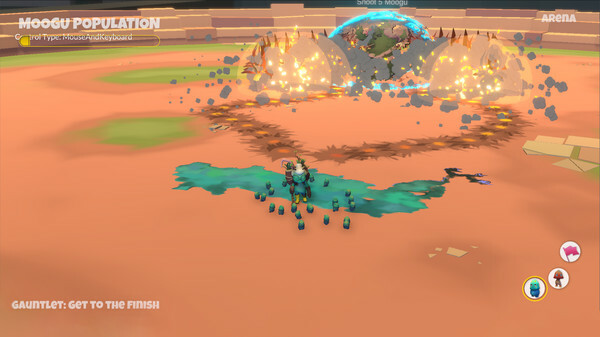 Players will be able to compete in all-new single-player and two-player split-screen racing tracks, fight waves of ruthless enemies in the Crimson Coliseum and see their rank and stats on leaderboards. The Crimson Moon will also impact the entire world of Atlas and let players engage with new faction story missions and weekly challenges. Additionally, players will be able to expand their roster and play through the new Crimson Moon content with five new pilots, three new starships and eleven new weapons available separately for digital-only purchase. Alongside the Crimson Moon update, prepare to take control of the Star Fox team members Peppy, Falco and Slippy in brand-new content coming exclusively to Nintendo Switch. Hunt down the Star Wolf team in a series of missions with the help of three new Star Fox team pilots, each with their own unique special ability and skill tree. The new Star Fox content will be available separately for digital-only purchase for $15.99 on Nintendo Switch beginning April 30, 2019. For more information about the Starlink: Battle for Atlas, please visit www.starlinkgame.com. For the latest on all of Ubisoft’s games, please visit news.ubisoft.com. © 2018–2019 Ubisoft Entertainment. All Rights Reserved. The Starlink Battle for Atlas logo, Ubisoft, and the Ubisoft logo are registered or unregistered trademarks of Ubisoft Entertainment in the US and/or other countries. Nintendo properties are licensed to Ubisoft Entertainment by Nintendo. Star Fox characters © Nintendo. Trademarks are property of their respective owners. 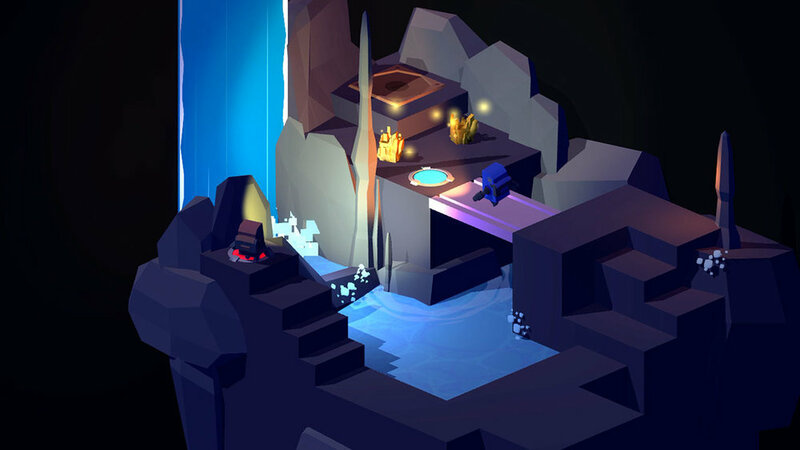 Snowman, the Toronto-based studio behind Alto’s Adventure, Alto’s Odyssey, and the upcoming Skate City, Where Cards Falls, and Distant are looking for a 3D Environment Artist. You can check out the posting below and send your resume and portfolio to jobs@builtbysnowman.com. You can also check out their website for further information. We are looking for an experienced 3D Environment Artist to build the world of a new game at Snowman. 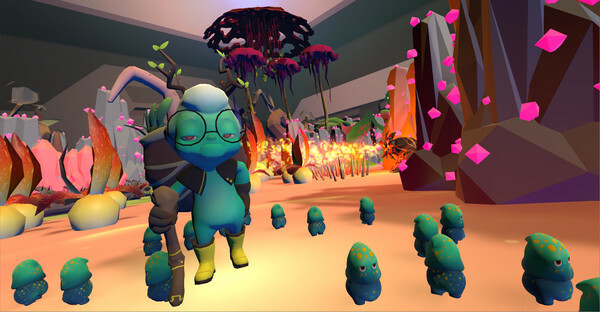 Snowman is a small game studio at the centre of artful experiences. Our goal is to create meaningful experiences that you may sit with for a short time, but that sit with you for a long while. Model beautiful, stylized, natural environments. Work closely with concept artist and game designer. We need someone multi-faceted who can wear many hats and learn things on their own. Preference for minimal and non-photorealistic art styles. Proficient in the use of Maya (or other 3D modelling package), Photoshop, ZBrush/Mudbox, and texture creation/material editing (Substance Painter/Mari/Unreal/Unity). This new game will be made with Unity. You should have a good sense of design (but you don’t need to be a “designer”). You need to be comfortable with the constraints that different platforms (e.g. mobile, console, PC) require of your work. Versatility. We are looking for someone to design, model, texture, and bring any other expertise that'll help realize the world we are trying to create. Have worked on minimal/non-photorealistic games before. Familiar with iOS / macOS / tvOS ecosystems. You’ll be joining a small but world-renowned team based downtown Toronto. At Snowman, we’re flexible on daily hours, working from home when required, and we’re not micromanagers–we want you to be empowered to make decisions on your own. Experience, talent, and drive are more important than fancy school degrees. Snowman is an equal opportunity employer that is committed to diversity and inclusion. Snowman welcomes all races, religions, genders, countries of origin, and sexual orientations. Applicants must legally be allowed to work in Canada. I’m certainly a little late on this one, but in the beginning of March a new rogue-lite bullet hell shooter with tower defences was released on Steam. 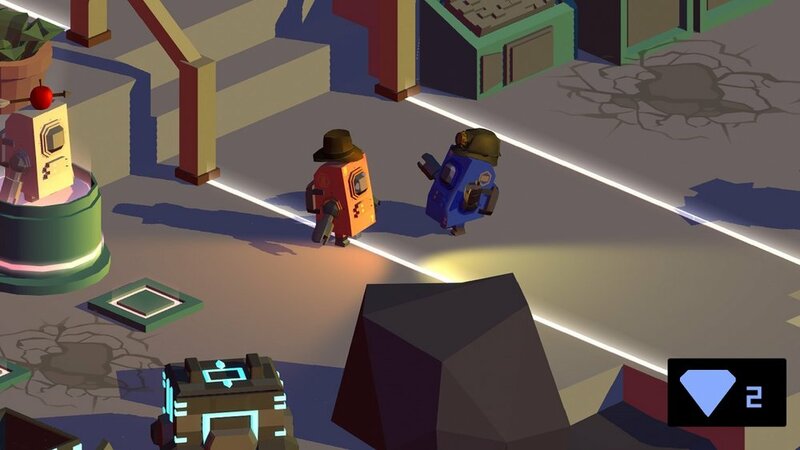 The game, titled Rogue Star Rescue from Windsor-based Chute Apps, is currently in Early Access for the next several months where they look to build upon everything. “Our galaxy is about to be destroyed. A massive Rogue Star has formed from the cosmos and is on a direct collision path. It threatens to vaporize everything. Leaders from planets around the galaxy have assembled a top team of fighters to stop the Rogue Star at all costs. We are the Team. You can check out the trailer and original press release below. The game can be picked up on Steam for $17.49 CAD. Rogue Star Rescue is available on Steam Early Access and https://t.co/8XPirZMMnh! Defend your planet and stop the catastrophic Rogue Star from annihilating everything. Rogue Star Rescue, a fast-paced roguelite bullet hell shooter with tower defense elements, is live on Steam. Windsor, Canada ― March 8, 2019 ― Today, Chute Apps Inc. released an alpha version of the much anticipated roguelite ― Rogue Star Rescue. The game is now available on Steam and itch.io. Shoot your way through diverse alien planets while strategically gathering traps and resources for the epic boss fights. Defend your planet and stop the catastrophic Rogue Star from annihilating everything. “It’s exhilarating to see that this long dreamed of project is coming to life! We are creating one of the best games in the genre, a game that will be played for years, without getting dull or predictable. With over a hundred endings and fun strategic action, Rogue Star Rescue will not disappoint” — shares the game developer, Carl Chute. The game will have large updates every two weeks, introducing new worlds, enemies, items, guns, soundtracks, and many other cool features, both planned and suggested by the players. Chute Apps Inc. is a game and software development company based in Windsor, Ontario. Established in 2011, the company designs video games, mobile, and web applications. I’ve been chatting with the gang over at No Sleep here in Toronto. While they are busy working away at the next project, they did let me know about their first game Radio Violence which came out to Steam last year. Described as a Tower “Offense”, Radio Violence pits up to four players on the same screen building radio towers to spread the influence of your “cheeky dictators”. You can pick up the game right here on Steam for pretty cheap, and make sure to follow the gang on Twitter. Now that all three episodes of Assassin Creed Odyssey’s first DLC chapter Legacy of the First Blade is out and finished, it’s time for the second chapter! The first episode of The Fate of Atlantis is coming April 23rd to all platforms, as part of the Season Pass for the game. You can check out the trailer and press release below, Assassin’s Creed Odyssey is available now on PlayStation 4, Xbox One, and PC and is coming to Google Stadia. Montreal — April 16, 2019 — Today, Ubisoft announced the release dates for the episodes of the second post-launch story arc of Assassin’s Creed® Odyssey, The Fate of Atlantis. The first episode, Fields of Elysium, will release April 23 across all available platforms. Throughout Fields of Elysium and the following two episodes, players will continue their Odyssey in the Greek afterlife to uncover the great mysteries that lie within the ancient realms of the gods. Following the first story arc, Legacy of the First Blade, The Fate of Atlantis will see our hero confront deities, encounter terrifying beasts of myth, and forge new bonds with a colorful cast of characters. After Fields of Elysium releases on April 23, the second episode, Torment of Hades, and the third episode, Judgment of Atlantis, will complete the second story arc mid-2019 on all available platforms. The Assassin’s Creed Odyssey post-launch plan is the biggest and most ambitious in the franchise, and Season Pass owners will be able to access two major episodic storylines, Legacy of the First Blade and The Fate of Atlantis. Players can dive into new episodes as they premiere, or experience the epic adventures in their entirety once all episodes are available. The Season Pass also includes Assassin’s Creed® III Remastered and Assassin’s Creed® Liberation Remastered, which released for the PlayStation®4 computer entertainment system, the Xbox One family of devices including Xbox One X and Windows PC on March 29, 2019. The Switch ports continue. 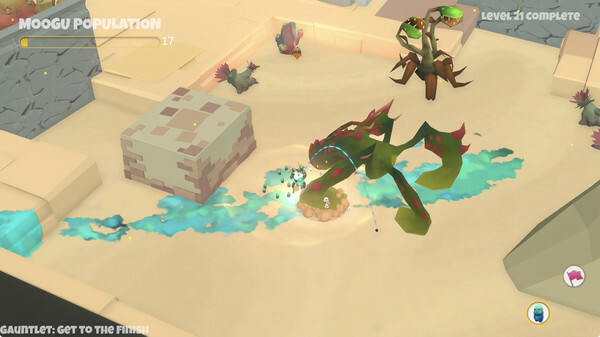 Pitfall Planet, the co-op puzzle game that won 2015 Best Overall Game at Level-Up, and then released on Steam in 2016 has come to Nintendo’s little hybrid system. You can pick it up right here for $18.99 CAD. The game also has a little extra Toronto flair, with the Reptoid Games adding some extra cutscenes in the port. Blazing Bit Games, a new studio in Montreal from a former Ubisoft Montreal Network Programmer, have announced Nightmare Reaper - a first-person-shooter throw back to games like Wolfenstein, and Doom. The game hits Steam Early Access this Summer with Episode 1, with Episode’s 2 and 3 coming within a year of that. Check out the Steam page to wishlist the game, in the meantime trailer, screenshots, and press release is below. Montreal, Canada -- April 9th, 2019 -- Blazing Bit Games reveals today their new retro first person shooter game, Nightmare Reaper, launching in Steam Early Access for Windows this summer. Explore the cursed depths of a nightmare while finding powerful weapons and improving your abilities in this new indie game that breaches the wall between the classics and modern sensibilities. 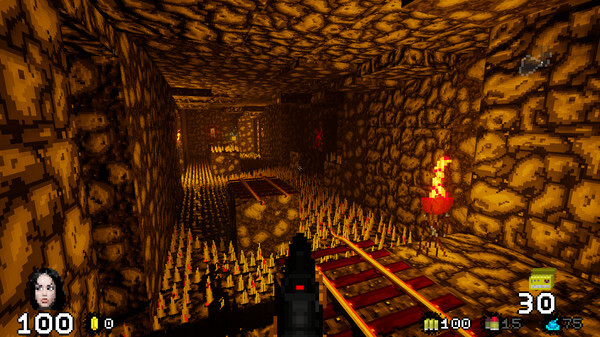 "We really wanted and had yet to find a modern sprite-based shooter similar in looks and mechanics to Doom or the Build engine games that was more than just shooting monsters. We just had to make it happen." - said Bruno Beaudoin, Founder. The Early Access release of the game, titled "Episode One", will feature over 32 weapons and will be crammed with variety and surprises. Mysterious non-intrusive story elements will guide players through nightmare after nightmare to eradicate evil while they collect treasures that they'll use to improve their abilities through a fun minigame. Stay tuned as more will be revealed leading up to release. Wishlist the game on Steam and come join us on Discord! A small studio dedicated to making great indie games, founded by Bruno Beaudoin, programmer by trade, former Ubisoft Montreal Network Programmer and passionate gamer, since the Atari 2600. Nightmare Reaper is our most ambitious project yet and we've recruited the help of amazing people to deliver our vision. 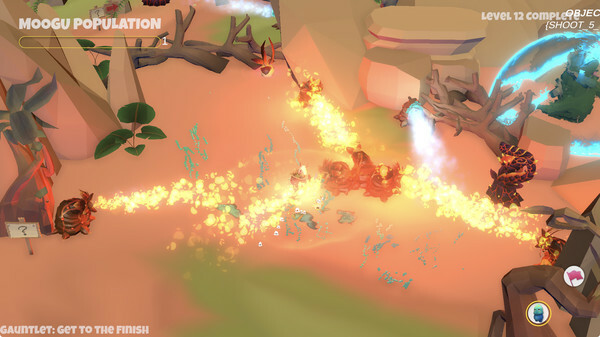 In Maker Mode, you can choose from over a hundred unique assets, including: vicious creatures, treacherous hazards, plant monsters, lovely foliage and destructible terrain. With these moveable, scalable, customizeable assets, you can create a beautiful garden, a deadly maze or a murderous gauntlet. In Quick Play Mode, play through the levels you have built as the Gardener, a feisty granny with a chip on her shoulder, and her army of adorable, expendable Moogu. The Moogu will die frequently, breed out of control, and are often as insufferable as they are useful. You can also share the levels you build with your friends and frenemies, so they too may see the horrors you have wrought. The game is expected to stay in Early Access for 6-12 months, and will include a narrative/campaign portion of the game when it’s all said and done. Until then, dive into the game on Steam and share your user created levels. You can check out the trailer and screenshots below.